Announcement Welcome to RuthaJewelry, my fine jewelry shop featuring gold jewelry and gemstone jewelry. All my earrings, necklaces, rings and bracelets are handmade by me. I pay special attention to quality and details. The designs are timeless and carefully thought out to fit any woman for her everyday or for a special occasion. You're welcome to contact me if you have any questions or interested in a custom made order! Jewelry has been my passion for the last 20 years, and I hope you will see it in the pieces and find something for yourself or for your loved ones. ~ Please take note of the measurements in the description, as most of my photos are taken in macro mode, so the jewelry may appear larger than it is. I LOVE seeing how my hand crafted designs meet their worldwide owners! SHOW me your new Rutha Jewelry earrings/ ring/necklace/bracelet on Facebook by simply tagging your photo with Rutha Jewelry, or please send me your photo through Etsy. Please come again as I am frequently adding new pieces. Welcome to RuthaJewelry, my fine jewelry shop featuring gold jewelry and gemstone jewelry. All my earrings, necklaces, rings and bracelets are handmade by me. I pay special attention to quality and details. The designs are timeless and carefully thought out to fit any woman for her everyday or for a special occasion. Beautiful! Love the design...thank you. Beautiful pendant very classy. Fast shipping. LOVELY AND UNIQUE!---SUPERIOR WORKMANSHIP--THANK YOU! For over 20 years, in parallel to my carrier as a hi tech manager, I have cultivated a passion, love and curiosity for jewelry. 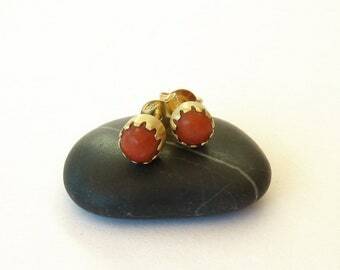 Fascinated by the ancient Greek jewelry, in 1993, I decided to take private lessons in goldsmithing. For the next 4 years I managed to maneuver between my frequent business trips abroad and learning to design and make jewelry. In 1999 I decided to take a one year break from the hi tech world and went to Sothebys, London, to take a class in “Understanding Jewellery”. Once again ignited by the beauty of this craft, I went for a “shopping” trip to the Far East, and bought gemstones and gold, enough to make a collection, to what became my first jewelry exhibition and sale in Marvadim Gallery in Jaffa, Israel. Since then, I am continuously designing, making, selling and learning about jewelry. I love gemstones, their colors, transparencies and shapes. Sometimes I can almost taste them. They fascinate, excite and inspire me. 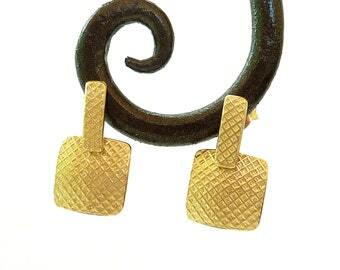 I love the warm yellow color of the gold and mostly work with yellow 18K solid gold. All my jewelry is handmade by me in my studio in a beautiful village of Ein Karem, Jerusalem. Its important to me that my jewelry is comfortable and pleasant to wear. I LOVE when someone enjoys wearing it. I have many repeat clients, which makes me very happy. Over the years I've learned that each piece finds its owner, and since most of the pieces are unique, they become a part of owner’s expression of oneself. Zesler Castings is a long time professional family business. I have been working with them for 20 years. I design and make my original models, either in silver or handcarved in wax, and then Zesler makes my rubbers, which they then cast into gold. I use cast pieces to make my final jewels. I currently take PAYPAL ONLY. You don't need PayPal account for that, you can pay by credit card (e-check service). Customers are responsible for any taxes/duties that their customs might claim. Israeli customers will be automatically charged additional 17% VAT during payment. Please allow 5-7 business days for arrival. Please contact me if you wish an expedited shipping. I do everything I can to make sure your order arrives safely! Your jewelry will be carefully packaged, gift wrapped and shipped in a padded envelope. To fulfill your order, you must provide me with certain information (which you authorized Etsy to provide to me), such as your name, email address, postal address, payment information, and the details of the product that you’re ordering. Your phone number may also be needed for certain shipping services. You may also choose to provide me with additional personal information (for custom orders, for example) if you contact me directly. • Compliance with laws. I may collect, use, retain, and share your information if I have a good faith belief that it is reasonably necessary to (a) respond to legal process or to government requests; (b) enforce my agreements, terms and policies; (c) prevent, investigate, and address fraud and other illegal activity, security, or technical issues; or (d) protect the rights, property, and safety of my customers, or others. I may store and process your information through third-party hosting services in the US and other jurisdictions. As a result, I may transfer your personal information to a jurisdiction with different data protection and government surveillance laws than your jurisdiction. In doing so, I rely on Privacy Shield as the legal basis for the transfer, as Google Cloud is Privacy Shield certified and other similar instruments as applicable. Access. You may have the right to receive a copy of the personal information I hold about you by contacting me using the contact information below.